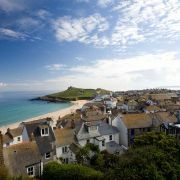 For a town of its size St Ives has a surprising number of churches and chapels of varying sizes and denominations. From the fine Anglican parish church of St Ia to the diminutive chapel of St Nicholas perched on top of the Island there are nearly ten in total. 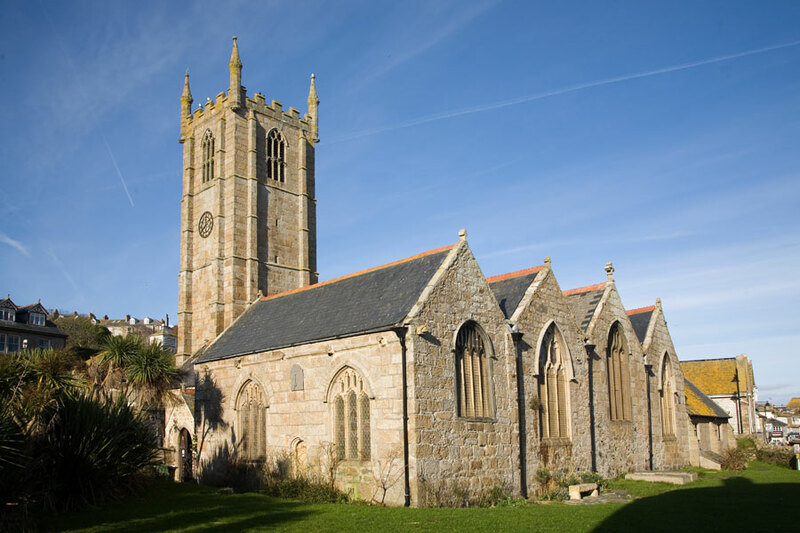 Three of these are Methodist churches with St Ives having a strong tradition in Methodism following the numerous visits of John Wesley, the movements founder, in the 18th century. 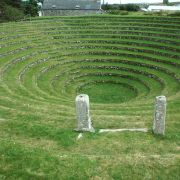 The town of St Ives (Porth Ia) means the 'cove of St Ia' and it is little surprise that the town's first church should be dedicated to this Irish missionary. Built around 550 years ago the parish church is an attractive and fascinating building. The church and many of its contents provide a history not only of the church, but of local industry and culture. 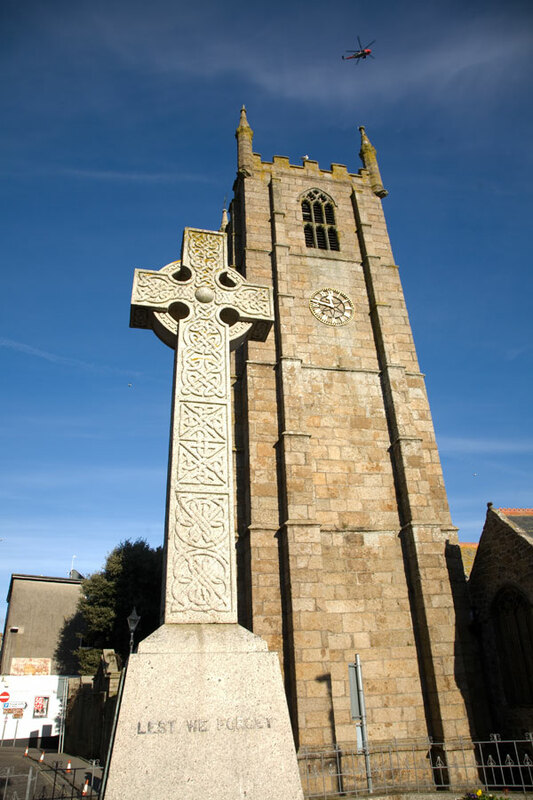 The tower is of Zennor granite and stands at nearly 90 feet tall making it visible from any point in the town. Inside is a vaulted wagon roof, some fine stained glass windows and richly carved sandstone and wood. One of the most celebrated objects is the Madonna and Child sculpture by Dame Barbara Hepworth, carved in memory of her son Paul who was killed whilst serving with the RAF in 1953. Outside, at the base of the tower is a 15th century cross, possibly relocated from an earlier church. St Ives has a further Anglican church, St John's in the Fields which dates back to 1858. St John's was built as the parish church for the village of Halsetown and as the name suggests it was originally set in the middle of a field. 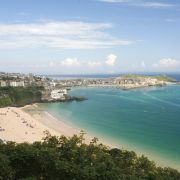 However, over the years it has been absorbed into the outskirts of St Ives. 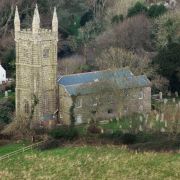 The church is clearly visible from the top of the Stennack as one enters St Ives from the Penzance or North Coast road. 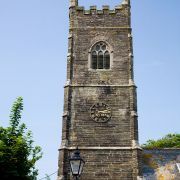 As mentioned Methodism was well established in St Ives. There are currently three Methodist chapels in service, the United on Bedford Road, the Bible Christian on St Peter's Street and a further chapel on Fore Street. 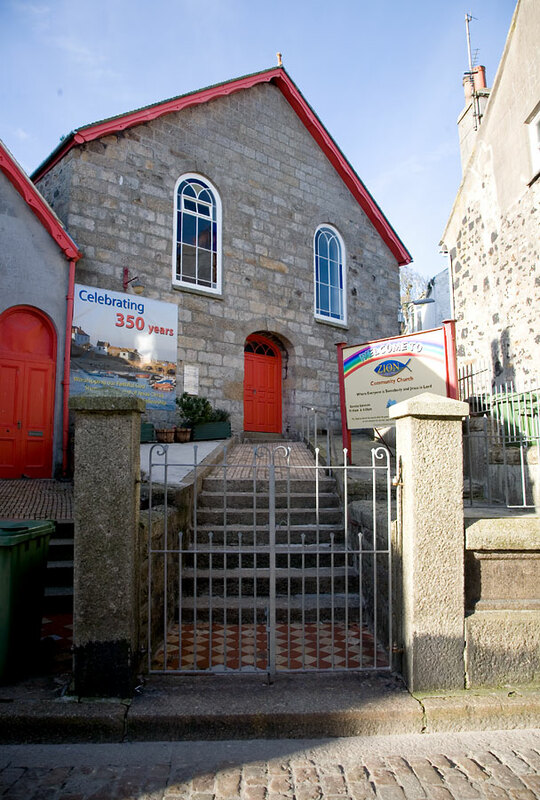 There are also other former Methodist chapels around the town including a large one at the bottom of the Stennack. Initially Wesley and his followers were met with open hostility when they came to preach in the town. It was commonly believed that the Methodists sympathised with the Pope and Wesley's early visits were disrupted by angry mobs. It is not only the chapels that stand as legacy of Wesley's Methodism; Teetotal Street in the Downlong commemorates the temperance movement which was growing in the nineteenth century. The town even had its own Teetotal Society, possibly to counter the concentration of drinking establishments in the town's harbour area. 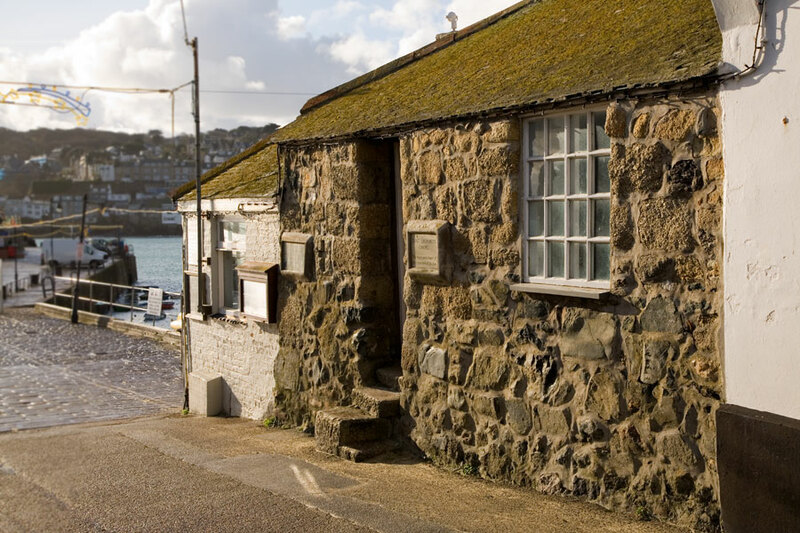 Amongst St Ives' curiosities are the two tiny chapels of St Leonard and St Nicholas. Both were built to serve the seafarers of the town with St Leonard's looking after the fishermen and St Nicholas' watching over the sailors from high up on the Island. 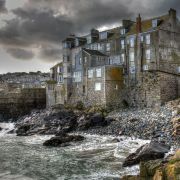 St Leonard's is located at the landward end of Smeaton's Pier and dates back to medieval times. It was where fishermen would pray before going to sea and it is said that a proportion of their catch would be paid to the chaplain on their safe return. 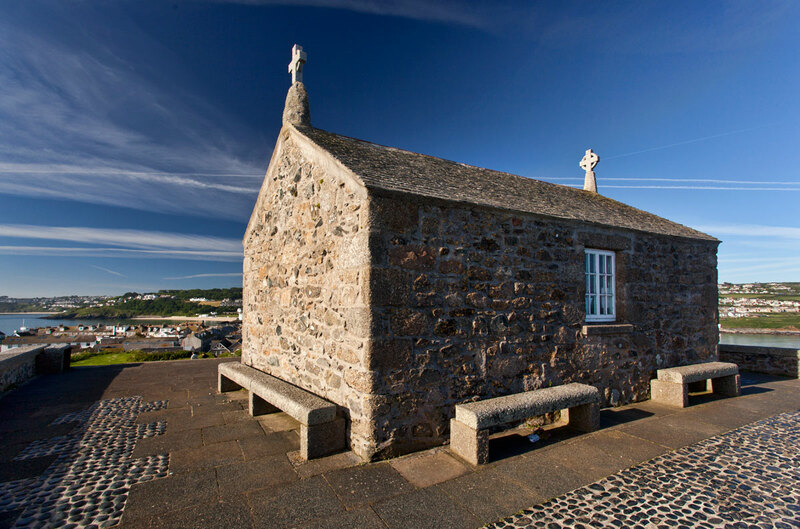 The single room chapel is now home to a collection of model fishing boats and a memorial to local fishermen lost at sea. The Chapel of St Nicholas is again a simple one room affair and is of similar age. Whilst originally a chapel for the sailors of St Ives this diminutive building has had several roles over the centuries. In the 1800s it was used as a lookout for smugglers by the Customs men as this area was ideal smuggling territory. In 1904 the building was tagged for demolition but following a public outcry was saved and restored several years later. Set at the top of Skidden and Tregenna Hill is the Roman Catholic Church of the Sacred Heart and St Ia which was built in 1909.